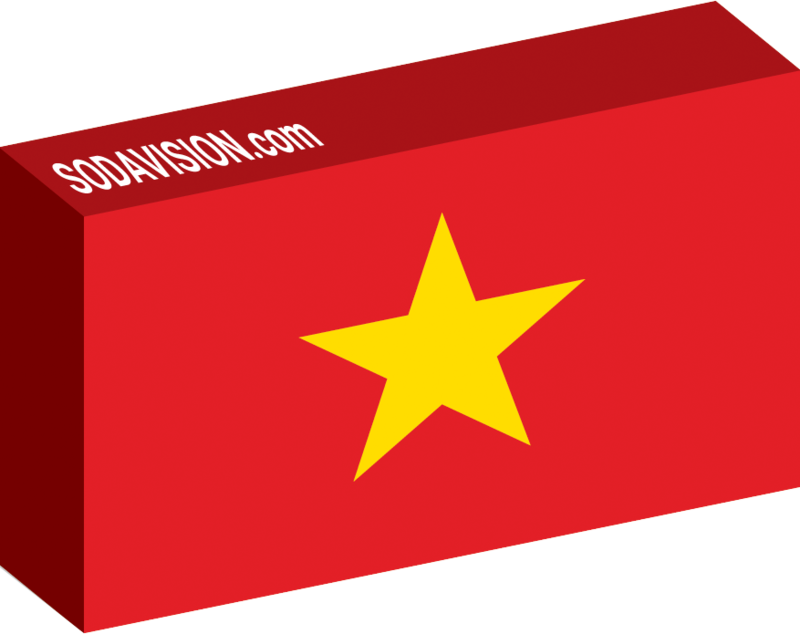 Essential Cheat Sheets For Machine Learning and Deep Learning Engineers – SODA VISION | Machine Vision. Imaging Technologies. 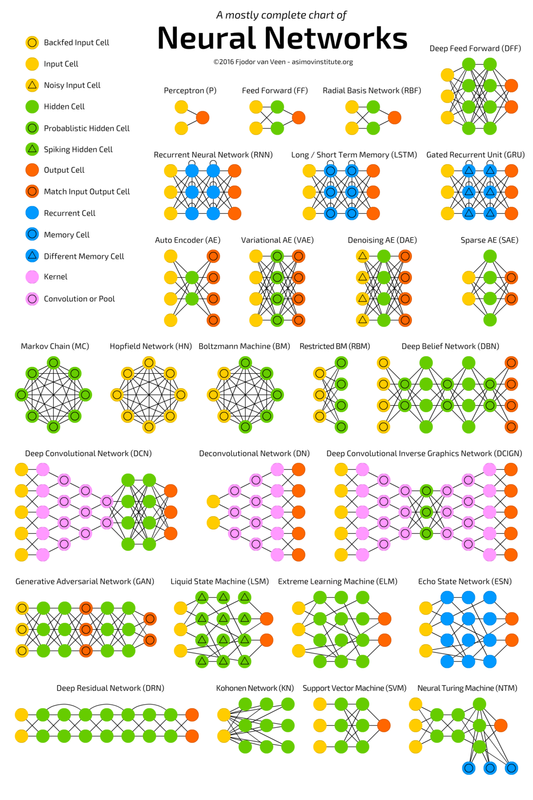 Learning machine learning and deep learning is difficult for newbies. We were inspired by Kailash Ahirwar’s post and decided to share these cheat sheets which collected from different sources. Keras is a powerful and easy-to-use deep learning library for Theano and TensorFlow that provides a high-level neural networks API to develop and evaluate deep learning models. 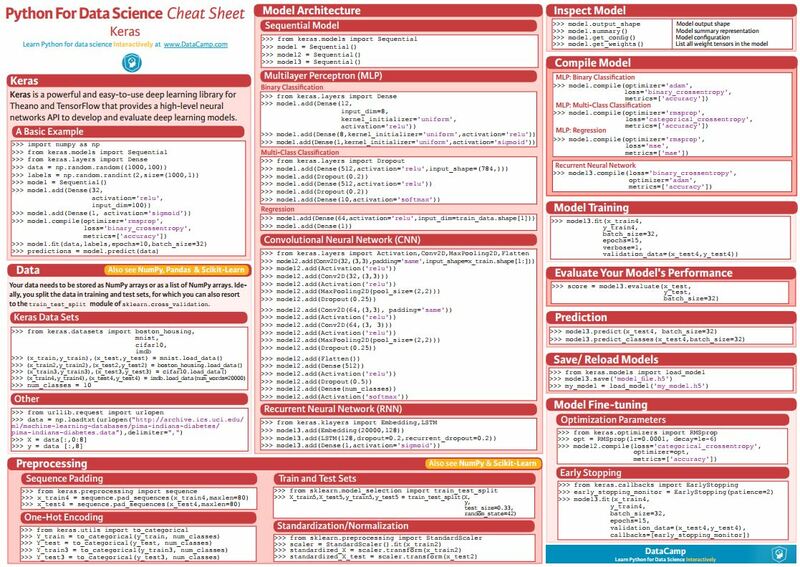 In no time, this Keras cheat sheet will make you familiar with how you can load data sets from the library itself, preprocess the data, build up a model architecture, and compile, train and evaluate it. The NumPy library is the core library for scientific computing in Python. 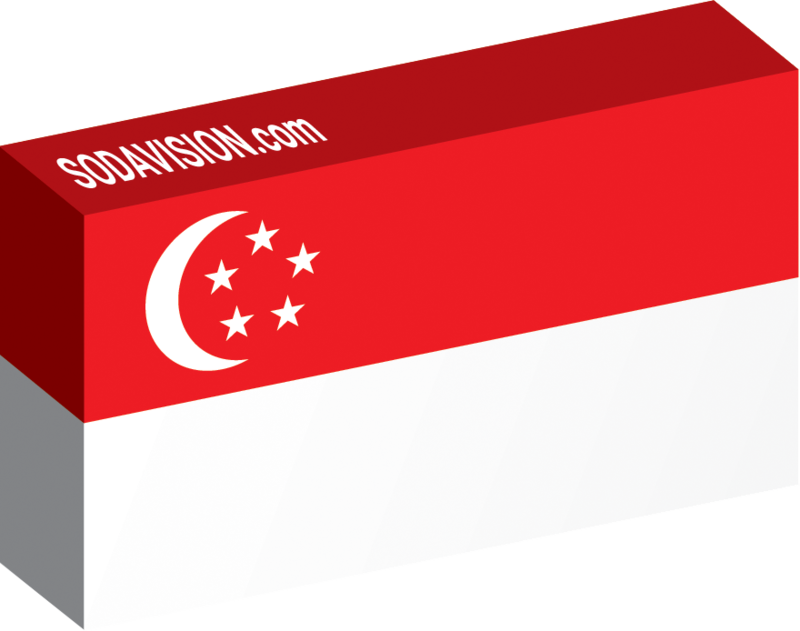 It provides a high-performance multidimensional array object, and tools for working with these arrays. 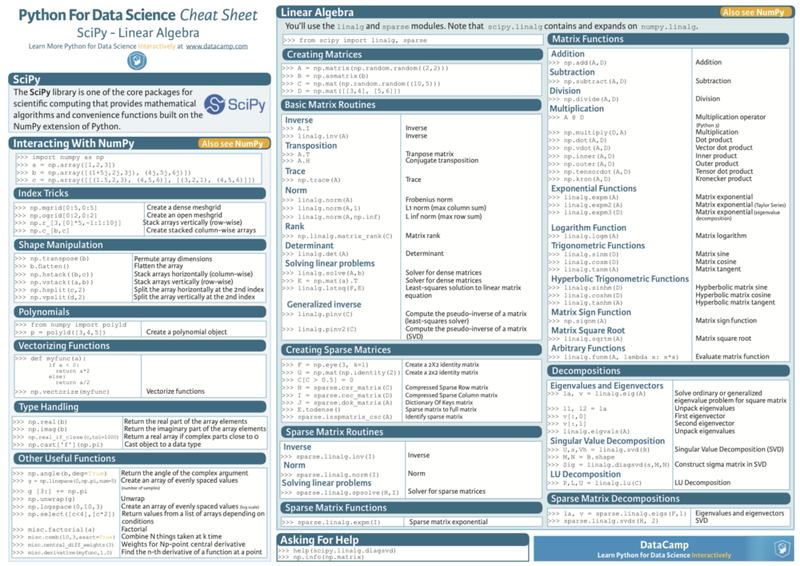 This cheat sheet provides a brief explanation of what the Python library has to offer and what the array data structure looks like, and goes on to summarize topics such as array creation, I/O, array examination, array mathematics, copying and sorting arrays, selection of array elements and shape manipulation. The Pandas library is built on NumPy and provides easy-to-use data structures and data analysis tools for the Python programming language. 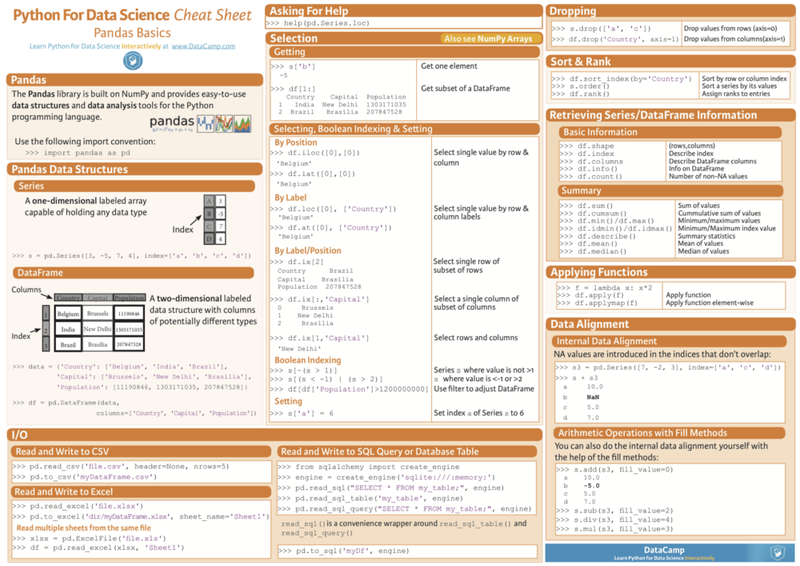 The Pandas cheat sheet will guide you through the basics of the Pandas library, going from the data structures to I/O, selection, dropping indices or columns, sorting and ranking, retrieving basic information of the data structures you’re working with to applying functions and data alignment. 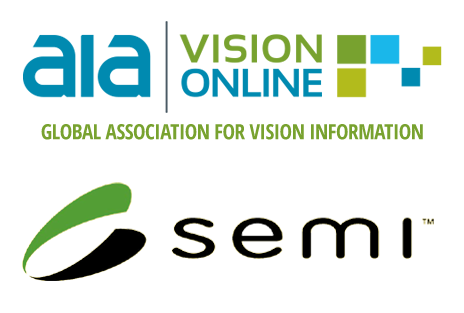 The SciPy library is one of the core packages for scientific computing that provides mathematical algorithms and convenience functions built on the NumPy extensions of Python. 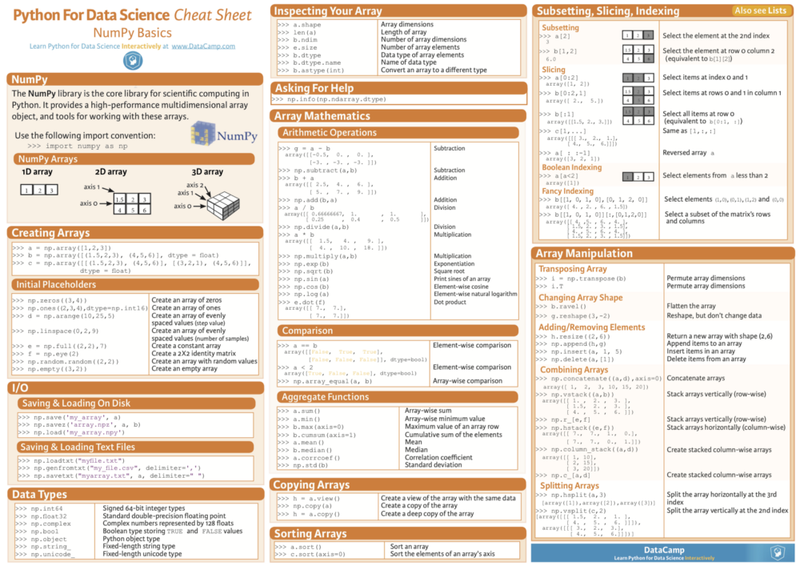 SciPy cheat sheet covers the basics of linear algebra that you need to get started, it provides a brief explanation of what the library has to offer and how you can use it to interact with NumPy, and goes on to summarize topics in linear algebra, such as matrix creation, matrix functions, basic routines that you can perform with matrices, and matrix decomposition. 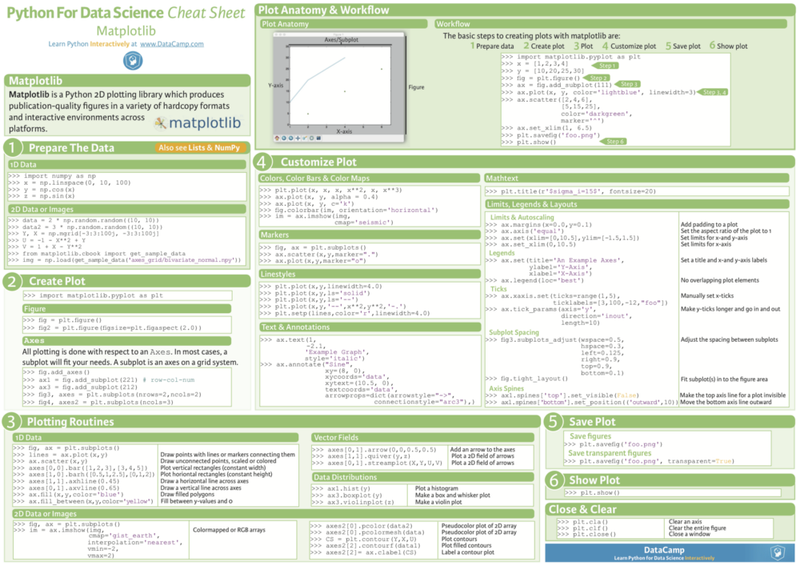 Matplotlib is a Python 2D plotting library which produces publication-quality figures in a variety of hardcopy formats and interactive environments across platforms. 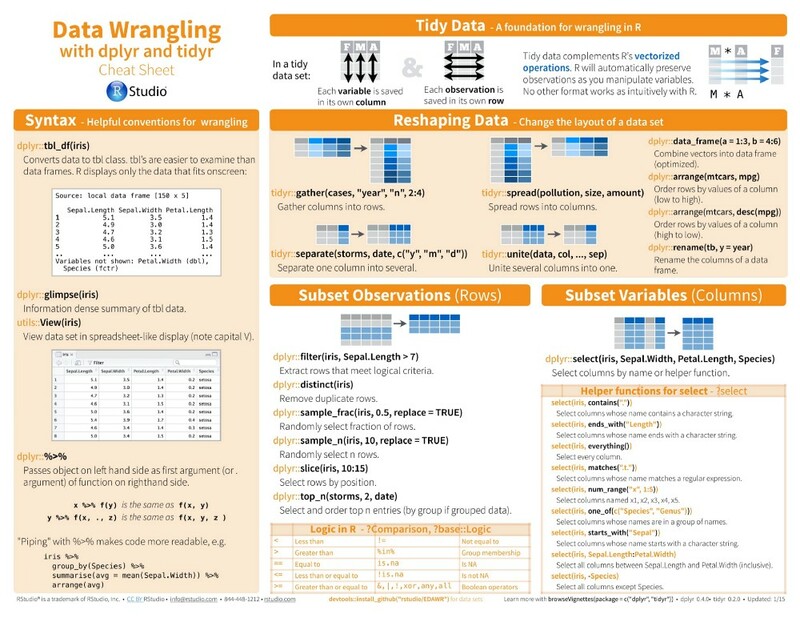 DataCamp has created a Matplotlib cheat sheet for those who might already know how to use the package to their advantage to make beautiful plots in Python, but that still want to keep a one-page reference handy. 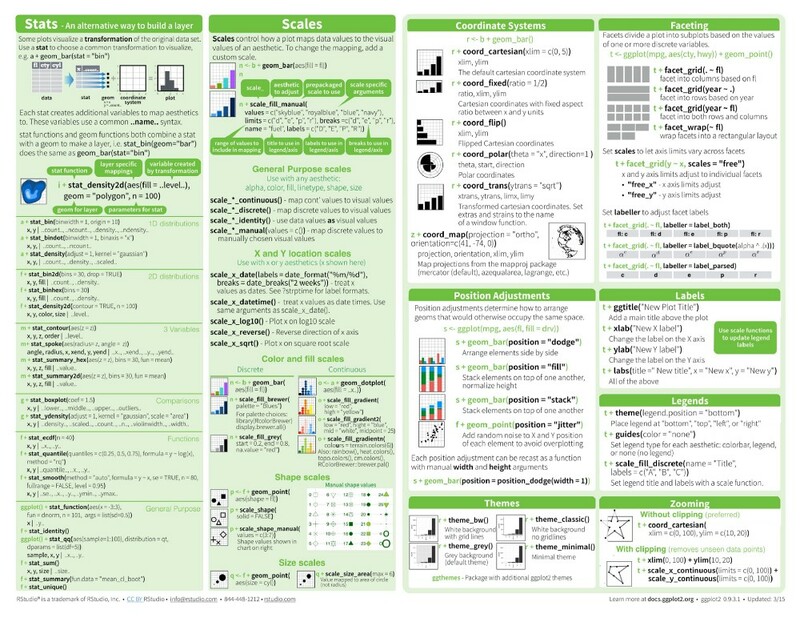 Scikit-learn is an open source Python library that implements a range of machine learning, preprocessing, cross-validation and visualization algorithms using a unified interface. 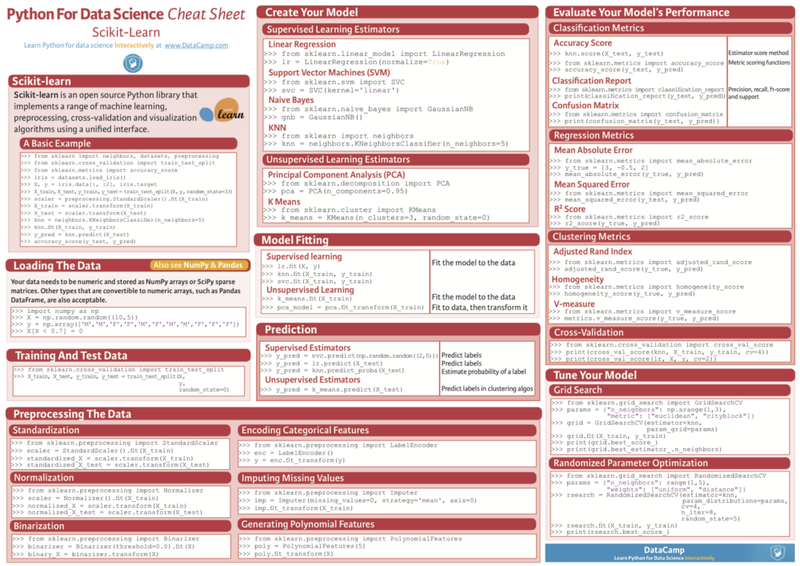 This cheat sheet will introduce you to the basic steps that you need to go through to implement machine learning algorithms successfully: you’ll see how to load in your data, how to preprocess it, how to create your own model to which you can fit your data and predict target labels, how to validate your model and how to tune it further to improve its performance. 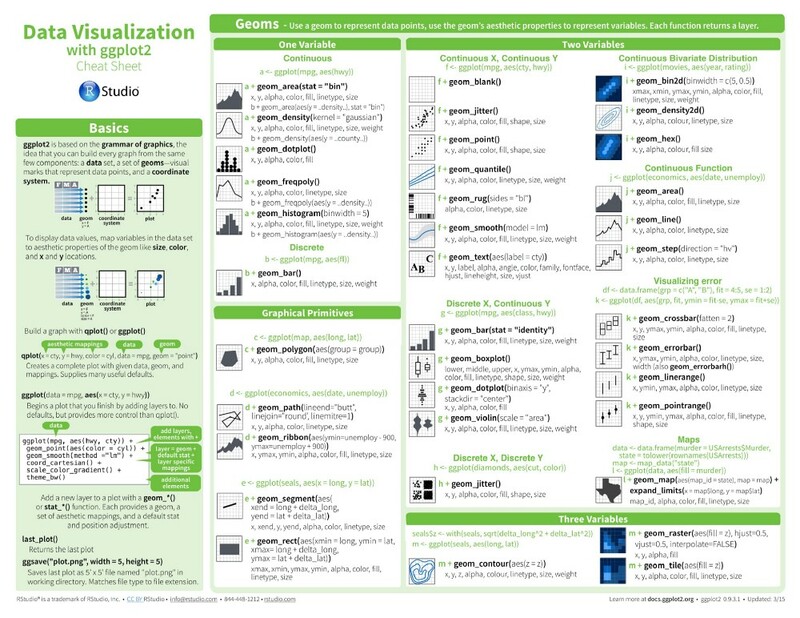 ggplot2 is based on the grammar of graphics, the idea that you can build every graph from the same few components: a data set, a set of geoms – visual marks that represent data points, and a coordinate system. PySpark is the Spark Python API that exposes the Spark programming model to Python. 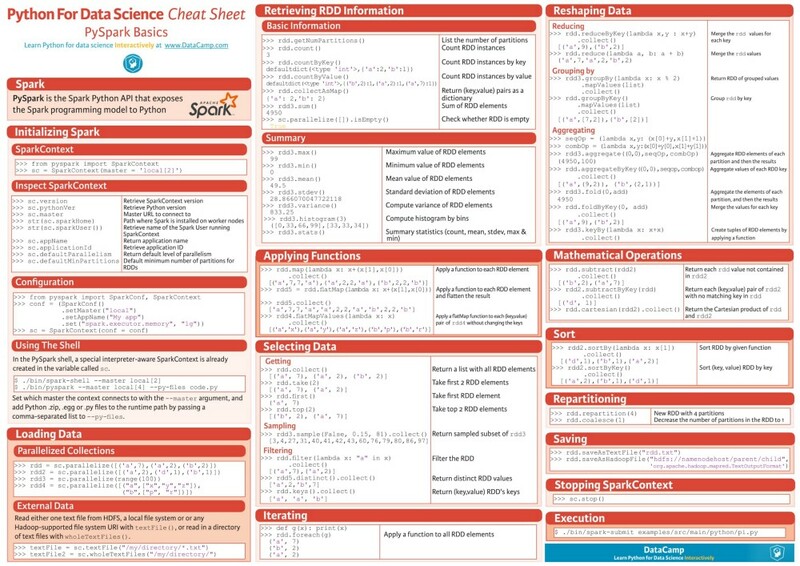 This PySpark cheat sheet covers the basics, from initializing Spark and loading your data, to retrieving RDD information, sorting, filtering and sampling your data. But that’s not all. 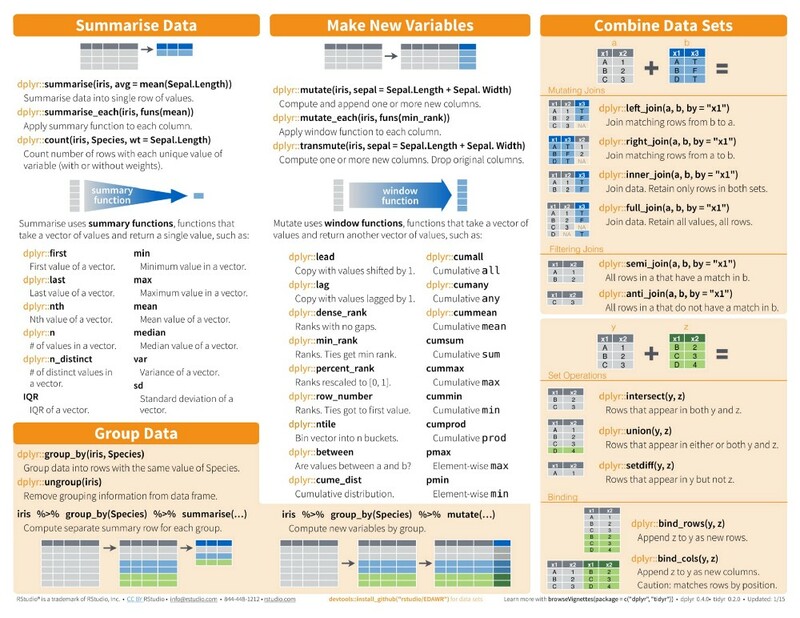 You’ll also see that topics such as repartitioning, iterating, merging, saving your data and stopping the SparkContext are included in the cheat sheet.